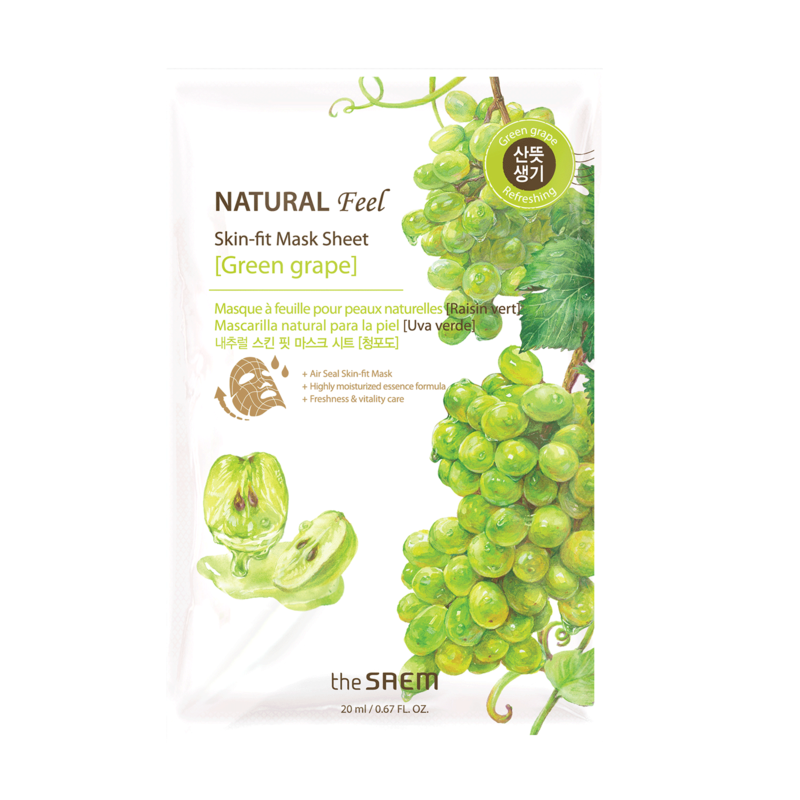 Natural skin fit mask sheet green grape moisturizing essence texture with green grape ingredient revitalizes tired skin. Moisturizing essence texture: Contains essence with cool, rich moisture to keep your skin dry and shiny. Purified water, glycereth-26, dipropylene glycol, propanediol, ethanol, grape extract, beta-glucan, sodium hyaluronate, hydroxyethanol, Indian oriental resin extract, disodium iodide, sodium carbomer, hydroxyethyl cellulose, allantoin, dipotassium glycyrrhizate, phage-60 hydrogenated castor oil, 1,2-hexanediol, glycerin, butylene glycol, capryliliglycol, Licorice extract, Omiza extract, Rhodiola extract, Ginger extract, green tea extract, hexylene glycol, hydroxyacetophenone, clophenethine, fragrance.